How to Profit from the End of the Longest Running War in the Americas - Casey Research - Investment Strategies, Analysis & Intelligence for Seasoned Investors. It’s clear to me - and should be clear to anyone who has visited recently - that Colombia has turned a page to a better future. The country’s middle class is vibrant and growing. It has more than doubled in the past 13 years and now includes more than 30% of the population. These opportunities won’t last forever. The word is starting to get out. But, for the time being, Colombia hasn’t hit the radar of most foreign and institutional investors. 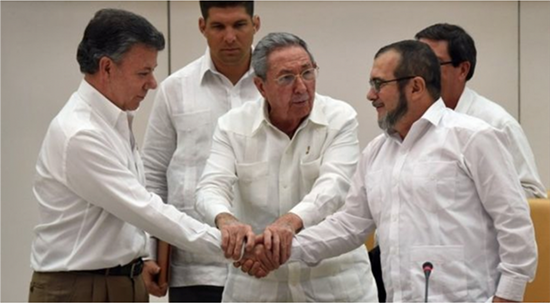 However, that could change soon, especially if the government and FARC reach a permanent peace agreement in the months ahead, as I expect they will. One way to invest in Colombia is to buy stock in Colombian companies. A handful of them trade in New York, just like any other public company. I’ve uncovered what I think is the best Colombian company to invest in right now. I think it’s an incredible bargain. This stock has a safe double-digit yield and lots of capital appreciation potential. For the full details, click here to check out Crisis Speculator. Investing in Colombian real estate is another way to profit. Besides the compelling investment and lifestyle aspects, there are other solid reasons to own property outside of your home country. 1. Geographically and politically diversified savings. I essentially traded overvalued paper money (U.S. dollars) for an undervalued hard asset out of the immediate reach of the U.S. government. It’s extremely unlikely that your home government could ever confiscate your foreign real estate. 2. An easy path to residency in Colombia. Colombia, like many countries, will give real estate investors residency or a path to it. With the apartment and Colombian residency in hand, I have an emergency “bolt-hole” where I could always go if necessary. 3. Portfolio diversification. The apartment diversifies the mix of asset classes in my investment portfolio. It also gives me the option to generate foreign currency cash inflows from rental income. 4. A measure of privacy. I’ve also described foreign real estate as the “new Swiss bank account.” That’s because owning foreign real estate is one of the very few ways Americans can legally keep some of their wealth abroad while maintaining their privacy. 5. Additional crisis insurance. Given the degrading social, political, and economic trends of the U.S., I think it’s critical to take proactive measures now. Decades of bad financial decisions and massive debt levels will cause another financial crisis sooner rather than later. Central bankers and politicians are playing with fire and inviting a currency catastrophe. That’s a big reason why I decided to invest in foreign real estate. But that’s not the only protective measure you can take. I recommend owning physical gold and silver coins for similar reasons. There are many other practical steps you can take to crisis proof your savings. In fact, we’ve recently released a video covering this very topic... Click here to watch it now.